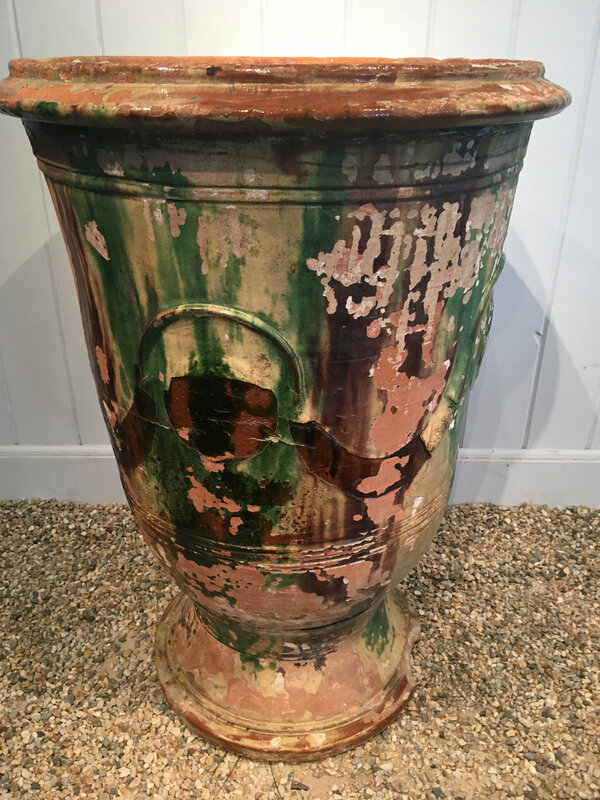 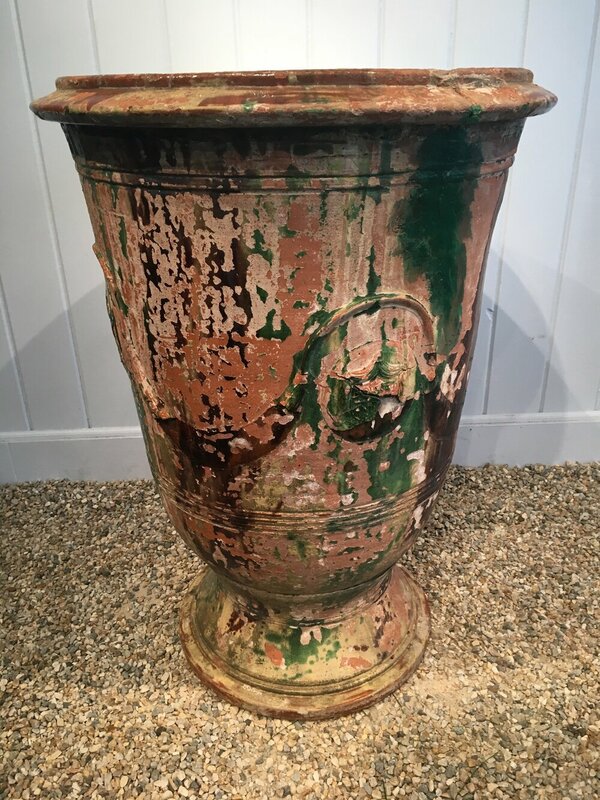 This stunning "Vase d'Anduze" is larger than most and features a marvelous worn glaze in shades of chocolate brown, emerald green, burnt orange, and butter yellow. 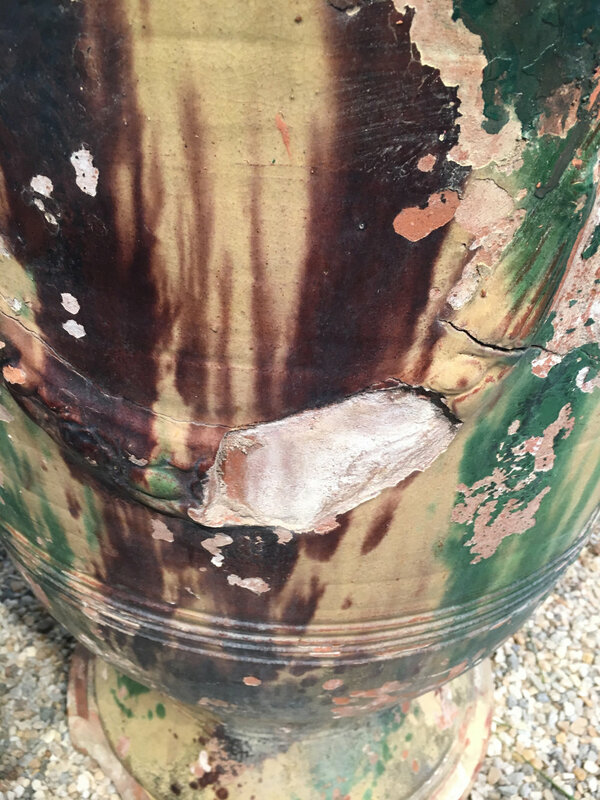 With the traditional swags mostly intact, there is a fair amount of chipping to the glaze, but the pot itself is completely intact, except for a 4" long chip to the foot (photo #4). 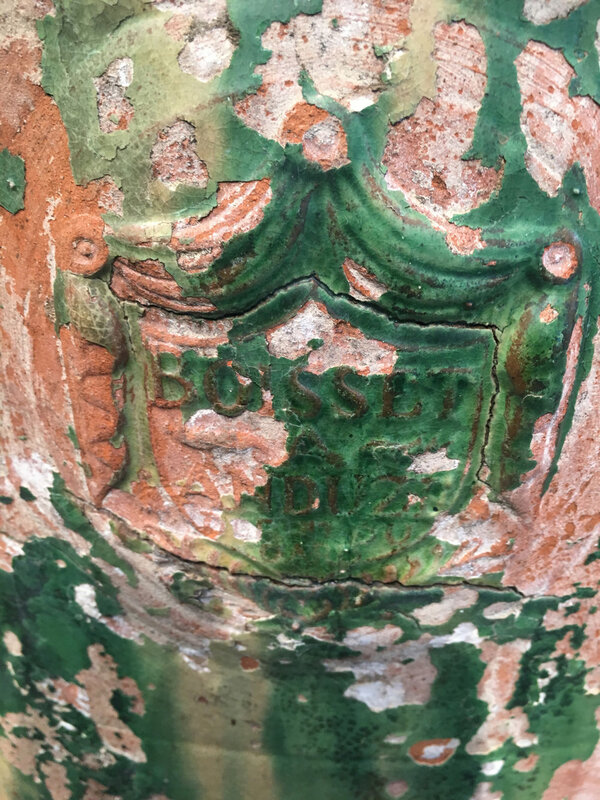 Signed in a cartouche by the original maker of Anduze vases, Boisset, that began making these vases in the early 1600s, this one dates to the mid-to-late 19th century (see photo #6). 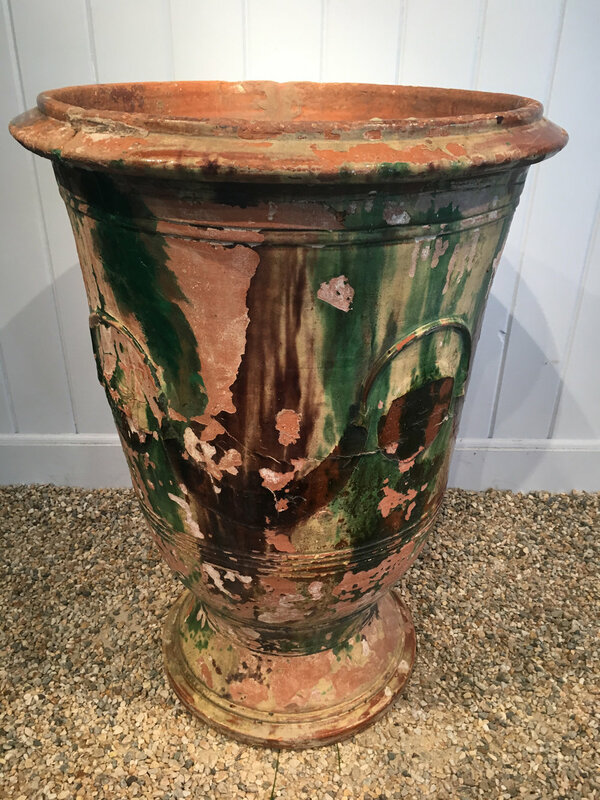 Anduze vases can be planted, although they need to be emptied and covered in cold climates.